In “Politics and the English Language”, George Orwell said “But if thought corrupts language, language can also corrupt thought. ” In corrupting the use of words, our competitors are able to disrupt the common sense of the citizenry. “Social justice” is one good example of such corruption. You’d have to be very cold hearted to oppose something called social justice, so what’s wrong with social justice? Well, to begin with, and end with, it has nothing to do with justice. By throwing together two good words and using them in a way that deceives the listener, the anti-liberty crowd has been able to fool the uninformed. One of the main purposes of the Tea Party Movement is to convey the message of liberty. To do so, we need to be careful about the words we choose, but more importantly, we need to point out the misuse of words by those who look to steal our freedom. “Liberal” and “conservative” are two perfectly good words that have been corrupted. Tea Partiers make the error of using the word “liberal” as an insult, when it should be compliment. We have ceded this word to those who blasphemy it’s real meaning. 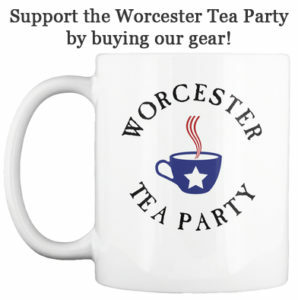 At this month’s Worcester Tea Party meeting, we heard two speakers on Agenda 21. The very next day, I saw the agenda for next week’s meeting of my town’s Board of Selectmen. I saw the phrases “International Property Maintenance Code”, “Master Plan Implementation”, and “Revised Water Conservation Language”. Immediately, bells went off in my head. I knew that they were using corrupted words that sounded perfectly well-meaning so that they could be used to advance an ideology that disputes private property rights. The words of liberty, as articulated by our classical liberal founders, ring true in the ears of almost every American. It is only those who seek to deceive by twisting good words into bad that we need to fear. They are charlatans who will lead people down a disastrous path. Be careful in the words that you choose. Be honest. Don’t deceive in the way our competitors do. When you are speaking the truth about the value of liberty, you do not have to grovel in the gutter of euphemistic deception. ← There is a time for everything, a time to be silent and a time to speak.